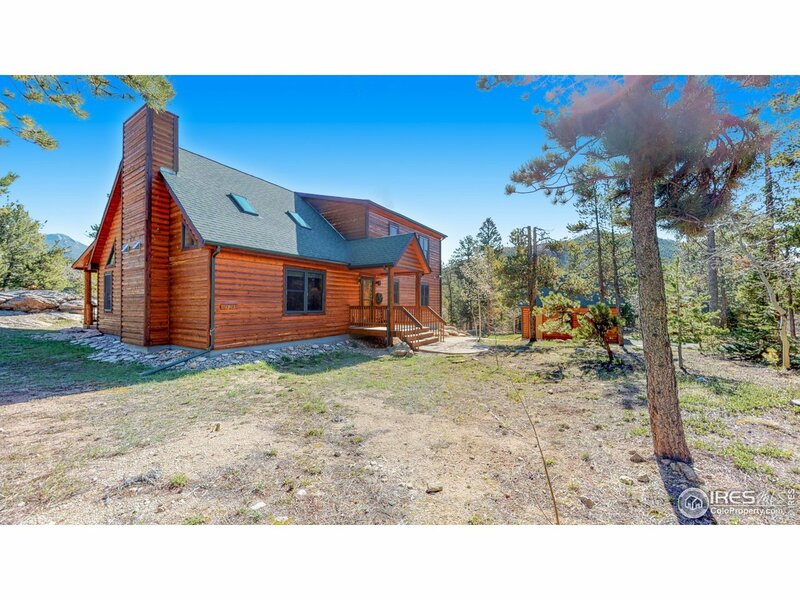 Located in the majestic Colorado Rocky Mountains this pretty two-story log sided home has views of Mt Meeker and Twin Sisters. Rocky Mountain National Park&apos;s Wild Basin less than one mile and Long Peak/Lily Lake minutes away. Moose, elk, deer, black bear, bobcat and coyote are among the wildlife. Abundant ponderosa and lodgepole pines, aspen and granite rock outcroppings are scattered throughout the lot. There is easy access off Peak to Peak to Estes Park and RMNP is only 12 miles.